I've decided to hold a portrait party for your holiday photos. 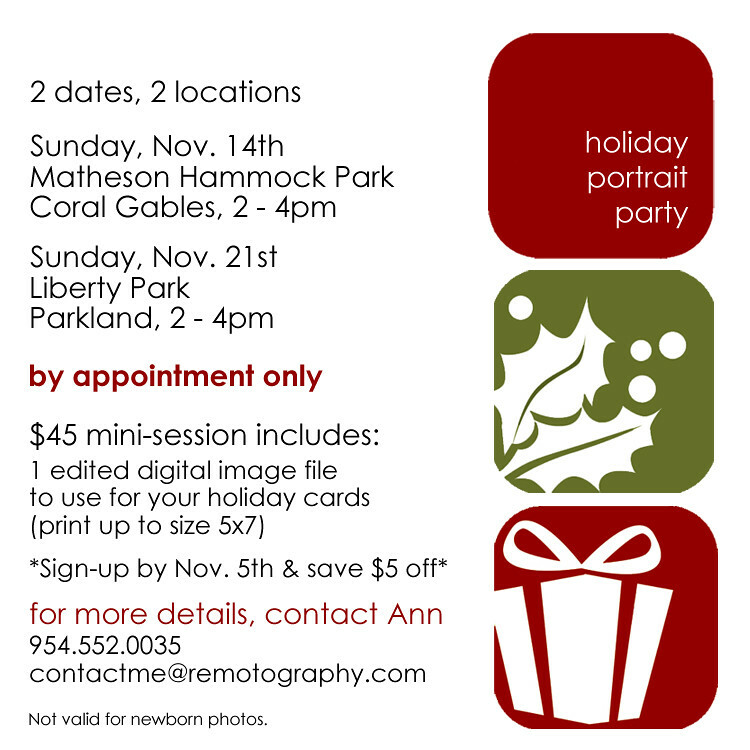 These mini-sessions are open to families, friends, couples, kids and babies! By appointment only, so book your session today!